The Royal Opera © ROH. Katharina Thoma's new production of Verdi's Un ballo in maschera at Covent Garden (seen 22 December 2014) seemed to have lots of ideas underlying it. With Soutra Gilmour's cemetery based set and Irina Bartels early 20th century period, the whole made an attractive package and was strongly cast with Joseph Calleja as Riccardo, Dmitri Hvorostovsky as Renato, Marianne Cornetti as Ulrica, Liudmyla Monastyrska as Amelia and Serena Gamberoni as Oscar, plus Anatoli Sivko, Jihoon Kim, Samuel Sakker, Samuel Dale Johnson and Andrew Macnair. Daniel Oren conducted. But it was never really clear who everyone was. Though Thoma clearly teemed with ideas about the piece, her presentation never coalesced into a coherent presentation, though individual ideas intrigued. Setting the piece in the early 20th century in an East European, possibly Balkan, country the location for Act 2 had been changed from gallows field to a cemetery, and it was this iconography which suffused the production. 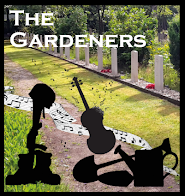 The overture started in the cemetery, and the end of the opera returned their. At various points the statues on the monuments came to life, and at the end of the opera Riccardo seemed to join them. This sense of death continued into Ulrica's scene as she seems to have become a medium. But there were other ideas at work too. The conspirators chorus in Act 2 included quite a number of men wearing a fez, and at the end of the opera the two conspirators were similarly dressed. When, during the closing moments, they dressed Oscar in the costume of a First World War soldier, I began to worry that I had missed something. I have described the location of the opera as an East European country, but I did wonder whether Thoma and her designer had in fact given us greater pointers, but we British had remained blind to the subtleties of Eastern European 20th century power politics and failed to pick up on them. Was the assassination of Riccardo meant to reflect that of Archduke Franz Ferdinand in Sarajevo? And even if it did, as in Thoma's production of Strauss's Ariadne auf Naxos at Gyndebourne (see my review), the parallels were forced and unhelpful. Another intriguing question was the determinedly old-fashioned style of the production. Had Thoma and Gilmour chosen to use traditional looking painted-style scenery to make a statement, or with to co-producing partners (Theater Dortmund and Scottish Opera) was this simply the easiest way to reconcile competing technical requirements in the the various theatres which would be housing the production? All this would not have mattered if the individual performances had been stronger, but the personen-regie seemed particularly nondescript. The Royal Opera had clearly cast the piece from a position of vocal strength, with a view to providing us with some of the strongest Verdi singers around today But that did not mean that the performers were the most vivid stage creatures, and too often singers seemed to be allowed to come dangerously close to generic emoting. Liudmyla Monastyrska gave a fine performance as Amelia, and her aria when she pleads with her husband at the opening of Act 3, was very moving indeed. Monastyrska has a full, quite vibrato-laden voice, but she was able to fill out Verdi's vocal lines expressively which few sopranos around nowadays seem do be able to do. Joseph Calleja sang Riccardo very finely, spinning out the line and shaping it expressively but we never got a sense of who Riccardo is. The dramaturgy of Un ballo in maschera does not play itself. Verdi and his librettists shaped the text from a far longer five act opera by Scribe and Auber, and there are gaps in the drama. Verdi's changes to the piece were far more involved in satisfying censors, so that he never returned to re-shape the work. 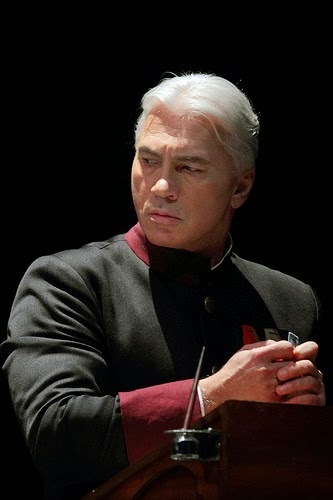 Thoma's lack of engagement with the fundamentals was most noticeable with Dmitri Hvorostovsky's Renato who blustered away magnificently at the opening to act three, but this seemed to be entirely in a vacuum. You felt Hvorosovsky was acting on autopilot, following Verdi's music rather than combining this with an underlying sense of dramatic continuity. Marianne Cornetti seems to have been encouraged to play Ulrica as an end of the pier act, and the whole scene had 'corny medium' emblazoned on it. Cornetti is a fine artist, and has just the right type of voice for this role. It was a shame that she was not allowed to show what an interesting and subtle artist she can be. Serena Gamberoni made a very fine Oscar, in a performance very high on charm. But Oscar was the only character in 18th century dress (why?) and any feeling of a relationship between Oscar and Riccardo was lost. The smaller roles were all well taken, with Anatoli Sivko and Jihoon Kim as a finely intimidating pair of conspirators. 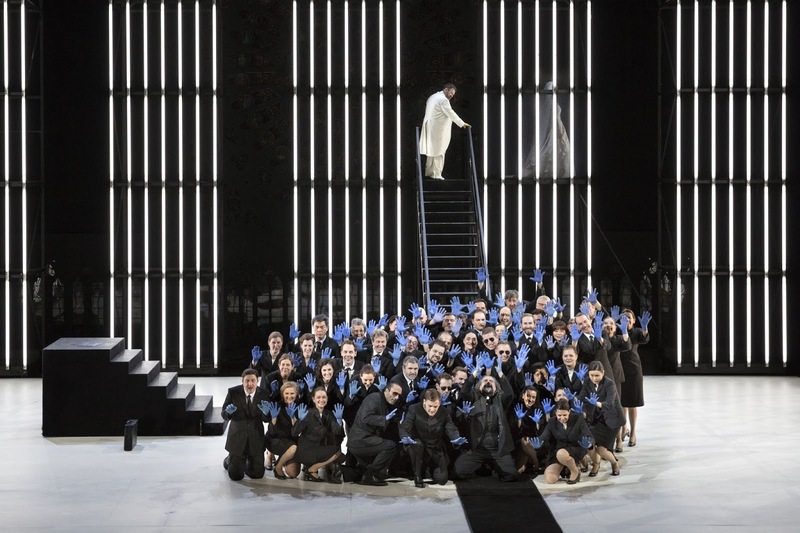 The Royal Opera Chorus gave us a nicely pointed and rather chilling account of the conspirators chorus in Act 2. The choreography in the ball scene, by Lucy Burge, had a similarly generic feel and there was no sense of the filling in of background character that can happen here. In the pit, Daniel Oren conducted a sleek performance with the Royal Opera Orchestra. But despite some very good individual parts, this production never seemed to coalesce into something deeper and intriguing. Perhaps this is a production which will come into better focus in revivals.